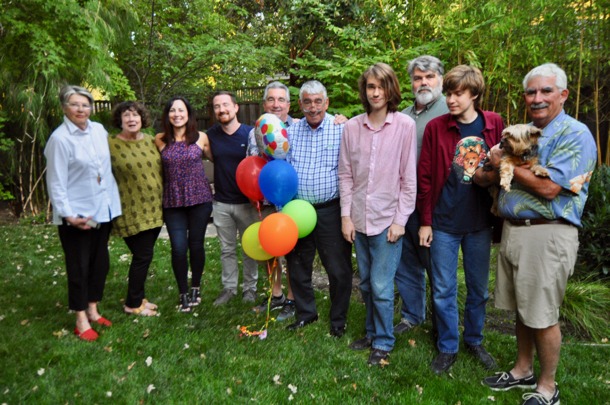 Celebrating a Nugent birthday gathers the clan together | Who Da Thunk? 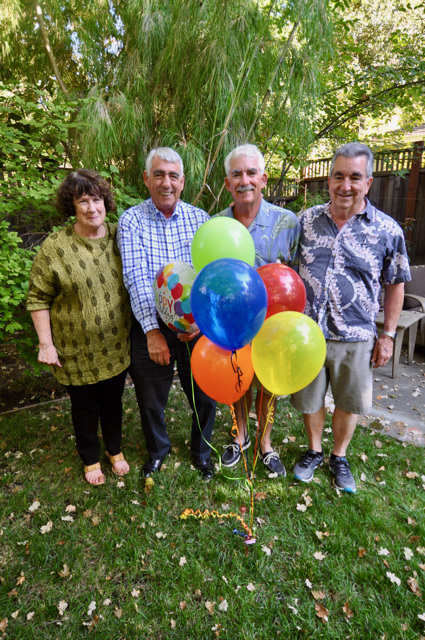 The Adventurers hosted a party to celebrate D’s Irish twin’s brother’s Billy’s 70th birthday today. It was the first time in a long time that the clan had gathered together, maybe since eldest brother’s Roger’s memorial some 15 years ago. It was a multi-generational event featuring the children, grandchildren and great-grandchildren of William and Peggy Nugent who lived on San Benito in Menlo Park. The four surviving siblings poised for a photo (right). This entry was posted in Family and tagged Nugent family reunion. Bookmark the permalink.